The Bond is an acrylic painting on heavily gessoed card. I used only one colour for this painting and had great fun creating textures in the gesso prior to painting the image. 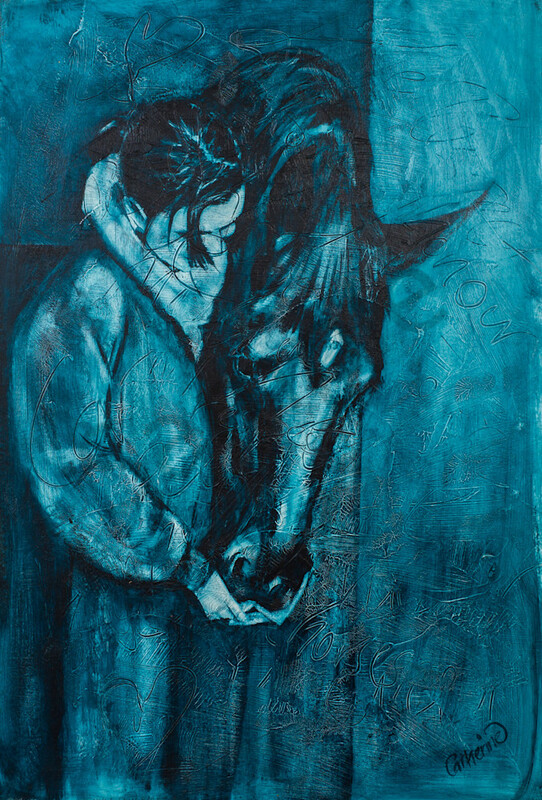 The bond between a horse and its human is very strong and i wanted to capture that in a simple painting using my touch to create.